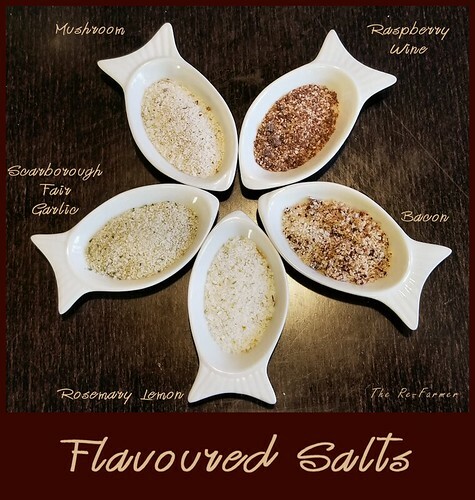 Though I made five different flavored salts at once, I will be doing a post for each flavor separately. 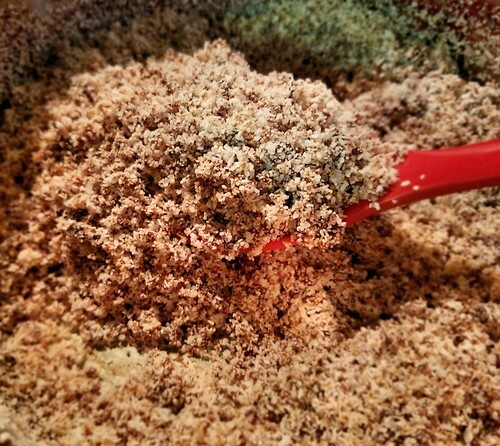 Using wet ingredients to flavor salt requires a fair bit more time. The typical recommended ratio for a red wine salt was 3 cups wine to 1 cup salt. I chose to use a locally made raspberry wine I found, instead. Most bottles are about 3 cups, but we had to taste it, too! Which means the actual amount of wine we used as about 2 1/2 cups total. Of course, feel free to adjust quantities to your taste! Also, the raspberry wine tasted much like the raspberry wine my father used to make! I’m not a big wine person, but I think we have a winner, here! 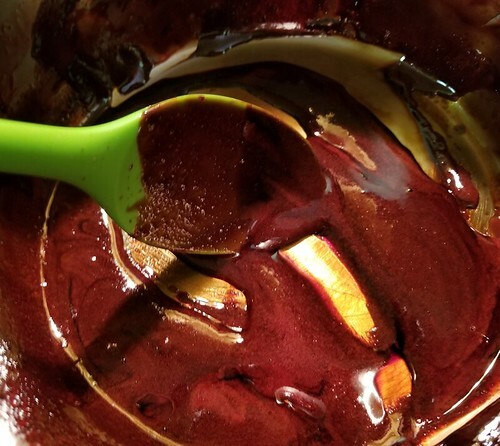 The wine will be reduced to a syrup, which means 3 cups of wine works out to roughly 3 Tbsp syrup. Step 1: pour the win into a saucepan and bring to a boil. Reduce heat to a gentle boil. 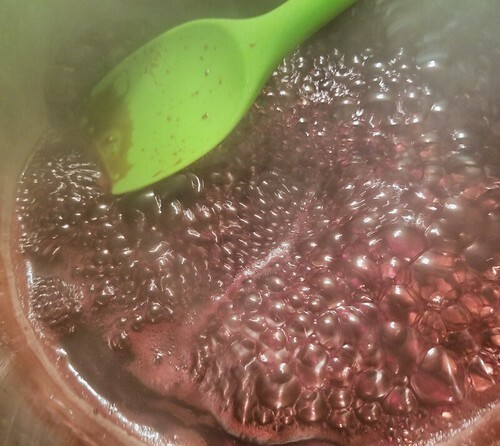 Continue cooking until the wine is reduced to a thick syrup. For the raspberry wine we used, it took about 45 minutes to reduce to a syrup. Near the end, it began to really bubble and foam. 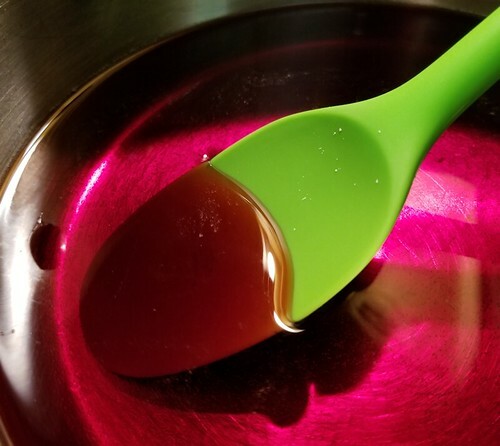 Once reduced to a thick syrup, remove from heat and let cool briefly. Step 2: stir in the salt and mix to thoroughly coat the salt with the syrup. This is where I had to switch to the stronger mixing spoon! Step 3: spread the salt and wine mixture onto the parchment paper lined baking sheet and spread evenly. Place into the oven with the light on and the temperature at the lowest setting. After an hour or so, turn off the oven but leave the light on. Leave overnight to dry. 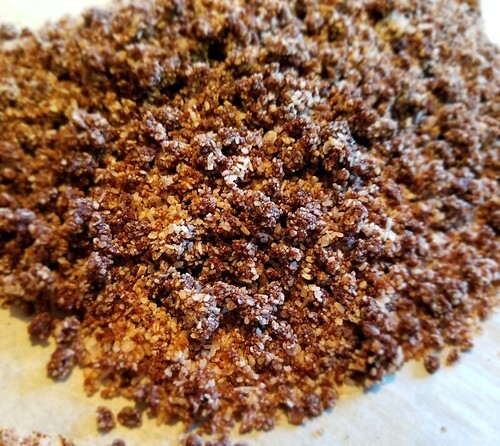 Note: you can take the baking sheet out every now and then and turn the salt – this can be made easier by using the parchment paper to fold the salt over itself, then spreading it evenly again. After doing this, reheat the oven to the lowest setting again, then shut it off, leaving the light to help maintain the heat. Step 4: once thoroughly dry, remove the baking sheet from the oven. 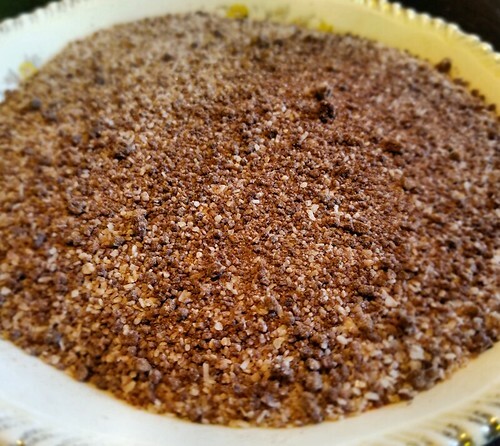 Break apart the salt and crumble it with your hands as much as possible. There will still be some clumps. 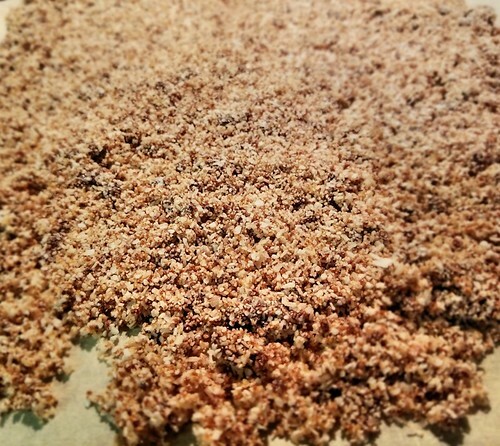 Step 5: using a food processor or spice grinder, pulse the salt in batches, just enough to break up the clumps. Step 6: after processing the salt mixture, transfer it to a jar, or divide among small gift jars, and seal.